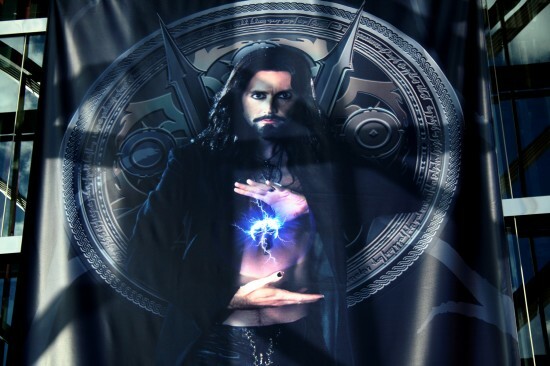 The movie Fright Night (Remake): trailer, clips, photos, soundtrack, news and much more! What do you think of the theme song of Fright Night? Actor David Tennant introduces this extended clip of Fright Night that premiered at Comic-Con. Want to kill a vampire? Ask the expert for advice! 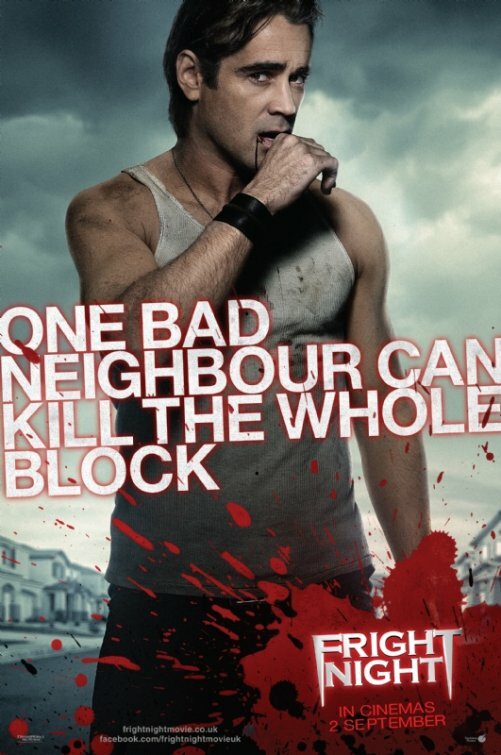 One bad neighbor can kill the whole block! Indeed! 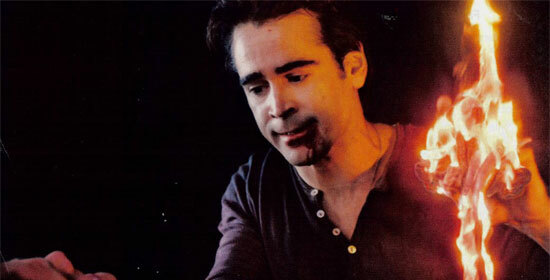 Colin Farrell is awesome as vampire, definitely want to see more! 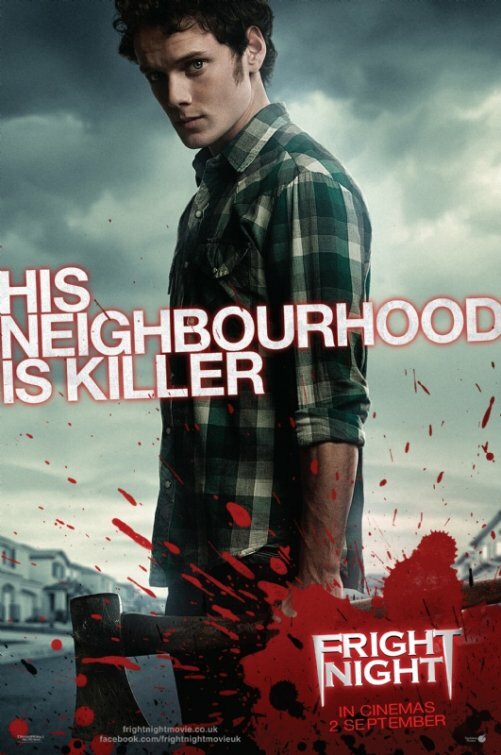 This remake of the comedy-horror classic is directed by Craig Gillespie. 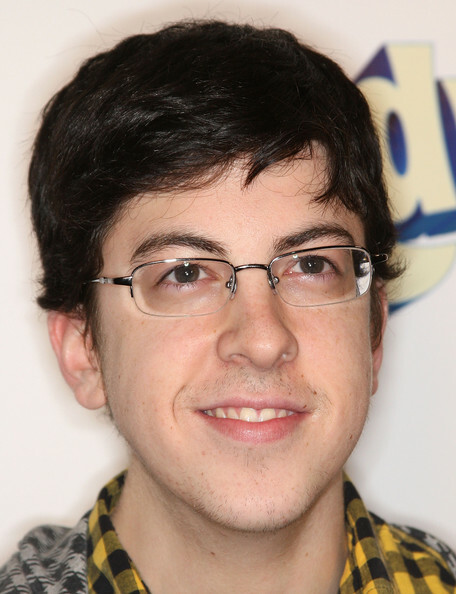 The Release date is set for August 19, 2011. Collin Farrell as a vampire in the background, and Anton Yelchin in the foreground. Is a simple axe enough to defeat a vampire? Wouldn’t some garlic or holy water help too? 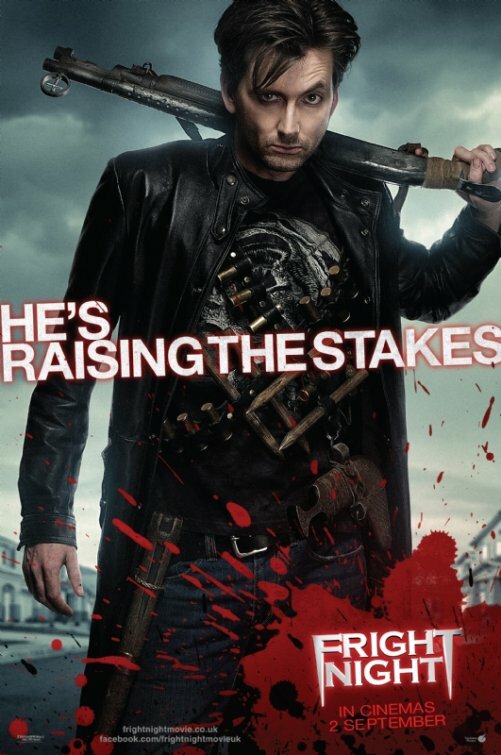 What do you think of Craig Gillespie’s much darker take on Fright Night? Heresy or a genius idea? Leave your thoughts below! He plays the role of a vampire. The movie Fight Night will be released in theaters on August 19, 2011. This revamp of the comedy-horror classic is directed by Craig Gillespie. 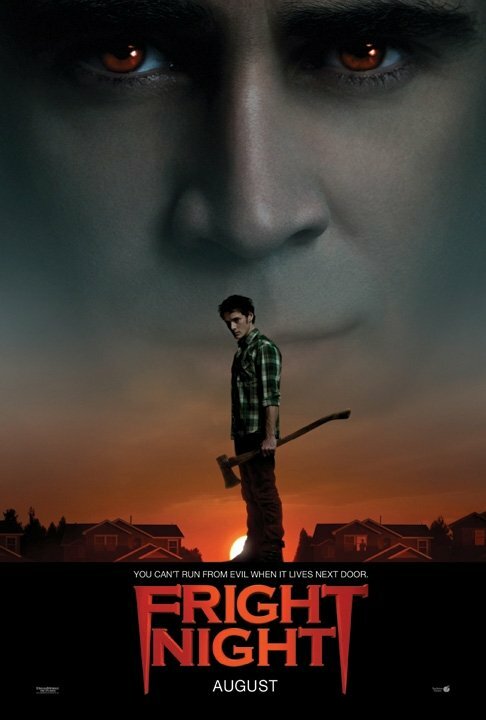 The movie Fright Night is set to be released on October 7, 2011. There’s a remake of Fright Night, the cult comedy horror movie from the 1980s, in the works. 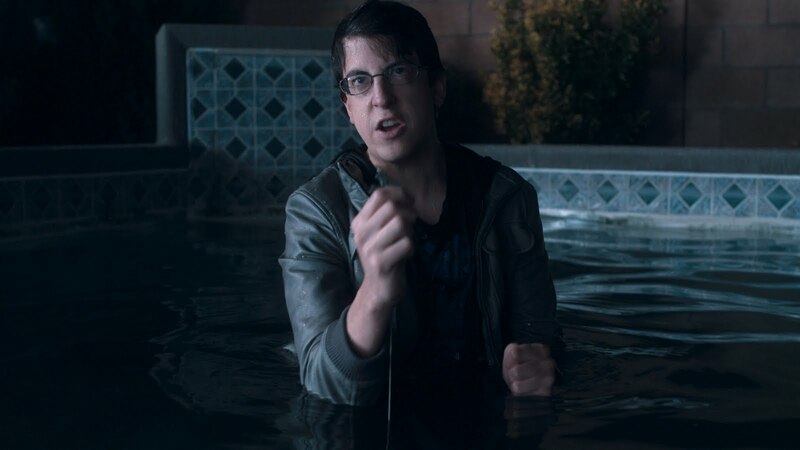 The new Fright Night movie is directed Craig Gillespie and is starring Anton Yelchin, Colin Farrell, Christopher Mintz-Plasse, David Tennant, and Toni Collette. 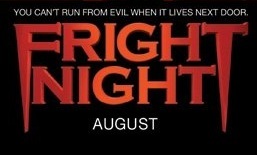 The release date of Fright Night is set for October 7, 2011. The original Fright Night was awesome. Do you think Director Craig Gillespie has a chance to deliver a better film with his take on Fright Night?